Ewald Chevrolet Buick has a huge range of new and used cars for sale in Oconomowoc, but few vehicles come close to matching the style and luxurious comfort of a vehicle. Ewald Chevrolet Buick in Oconomowoc Wisconsin has plenty of new and used Buick vehicles for sale, from cars to SUVs and more, that drivers everywhere can appreciate and enjoy, and for a price that you can fit well within your budget thanks to our great deals and offers. So for great new and used Buick vehicles for sale at affordable prices, stop on in to Ewald Chevrolet Buick in Oconomowoc Wisconsin today and check out our many Buick vehicles for sale, such as this used Buick Encore for lease, the 2013 Buick Encore Premium, a comfortable and very enjoyable vehicle that you can enjoy driving on nearly any road. 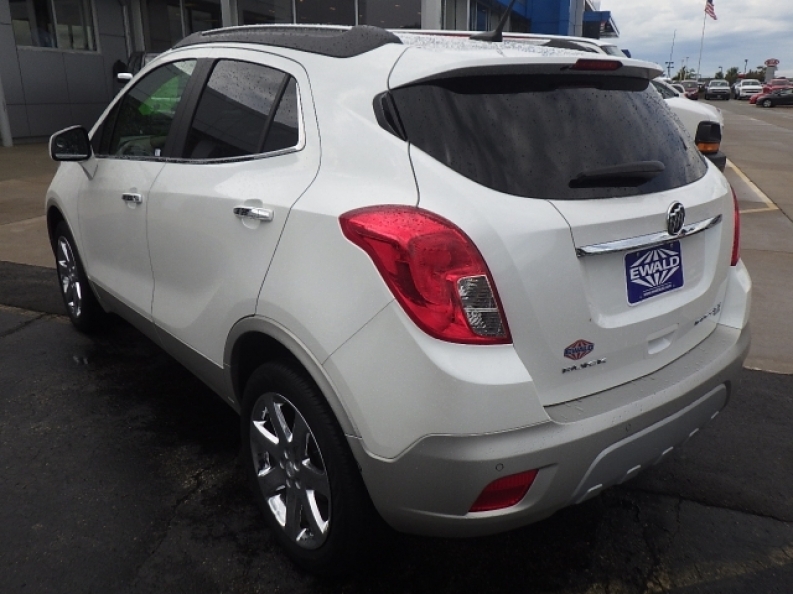 This used Buick Encore for lease is a fantastic vehicle for sale that drivers such as yourself are certain to enjoy, as this vehicle provides you with a fantastic range of things to enjoy from efficiency to comfortable features and more. This used Buick Encore for sale is a fantastic vehicle for sale that is easily capable of helping you achieve a decent speed of up to 138 horse power at 4900 RPM, and also provides you with up to 148 pounds per foot of torque power at 1850 RPM. But the real advantage of its ECOTEC Turbo 1.4L Variable Valve Timing DOHC 4-cylinder sequential MFI Engine lies with its efficiency, which stands at around 23 City mpg and 30 Highway mpg. Of course, there is more to enjoy with this vehicle than just its engine. Try it out for yourself and experience things like its Rain Sensing Windshield, and the Premium Sound System, as well as the Lane Departure Warning and even more. 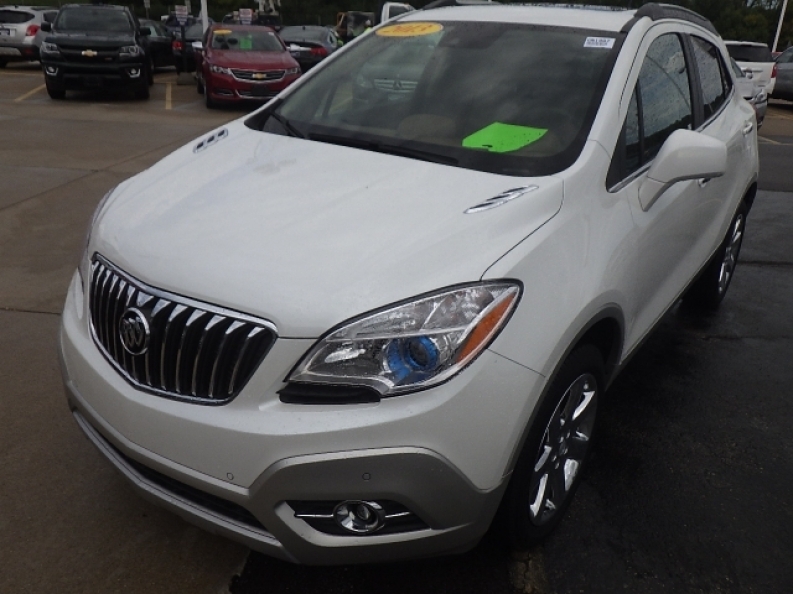 If this used Buick Encore interests you, then stop on in to Ewald Chevrolet Buick today and check it out for yourself, located here at 36833 E Wisconsin Ave Oconomowoc, WI 53066.